In 1953 the international RIU chain was founded Mallorca, Spain by the RIU family and is still owned by the family’s third generation. 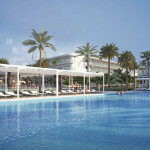 The first hotel was a 80-bed property in Playa de Palma (Mallorca, Spain). 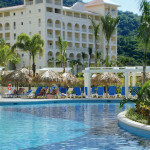 RIU specializes in holidays resorts and 70% of their properties are All Inclusive. 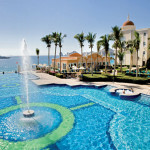 RIU owns more than 100 hotels in 19 countries. 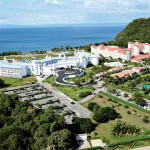 RIU is the Caribbean’s most popular resort and the third largest in Spain. During the 60s and 70s the company underwent expansion in the Balearic Islands and in 1976 RIU Hotels S.A was established in order to be able to build new hotels. 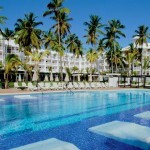 In 1985 RIU opened its first hotel outside of the Balearic Islands on the island of GranCanaria. 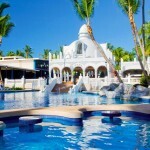 Today the Canary Islands are one of RIU’s main destinations, with over 20 hotels located there. 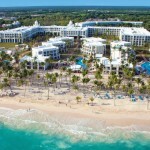 The first international hotel was opened in 1991 in Punta Cana in the Dominican Republic. 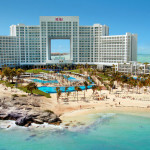 In the late 90s and early 2000s, RIU expanded in Punta Cana to 5 hotels and also did a major extension into several countries including Mexico, Jamaica, Aruba, the Bahamas, Costa Rica, Cape Verde, Morocco and Tunisia. Some destinations have more than one property in their complex. 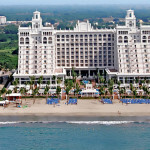 2010 brought the biggest change in the RIU Hotels and Resorts with the launch of the RIU Plaza hotel brand. 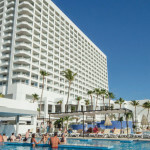 Panama City welcomed the first RIU Plaza PanamaHotel, it was the first RIU in Panama and the first of the RIU city hotels.The company’s commitment for this new line of hotels continues with the opening of RIU Plaza Guadalajara in Mexico and the RIU Plaza New York Times Square, which is due to open the end of 2015. 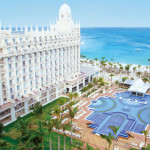 Aruba has become a popular tourist destination thanks to its beaches and warm sea water. 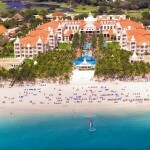 Whether you want to relax under the sun, swim or try out a water sport, Aruba caters to your every need. We recommend you to go on the region’s various excursions: the capital Oranjestaad, the Dutch style market, interesting national parks and caves with paintings. 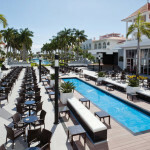 Aruba’s downtown has many high end stores along with many jewelry stores making it great shopping. 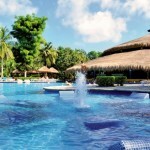 Located on the Pacific Ocean Guanacaste is less tropical, humid and lush than the rest of the country. It is the driest region of Costa Rica. From November to April the plains receive little rain but in the rainy season everything turns green. Its dry grasslands and woods are sometimes reminiscent of landscapes from the African savannah. In the inland areas, you’ll see the natives, local sabaneros (cowboys) riding on their horses as they lead their herds, which are authentic figures of the destination’s traditional culture therefore has been called Costa Rica’s Wild West. Guanacasta has the most beautiful beaches in Costa Rica. All the finer things can be found on this elegant island that shares the cultures of two countries. The south side is the Dutch side, Sint Maarten with Philipsburg as its capital and to the north is the French side St. Martin. 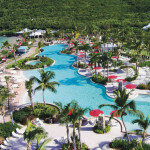 Visit both sides of the island for its diverse style, Sint Maarten with its duty free shops, casinos and fabulous night life and St Martin with chic boutiques and French cafes. There is no physical barrier so you can travel freely on the island. Pay a visit to Maho Beach and watch incoming jets fly in for a landing just a few feet over your head. Orient Beach on the Riviera of French side is the most popular beach due to its natural beauty. 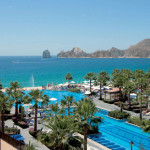 A perfect destination for travelers who want a few days of relaxation, beach and sun, offering tranquility and fun alike. The beautiful Banderas Bay is sheltered by the spectacular Sierra Madre Mountains and this area is called Nuevo Vallarta, on the Nayarit Riviera, is one of Mexico’s most sought-after tourist destinations. 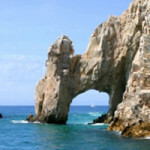 On top of excellent beaches and water sports, this place also offers the possibility of coming into contact with some splendid animals: dolphins, whales and sea turtles. Staying at Riu Hotels you will be in a great position to get to the beaches of the Nayarit Riviera, see its most interesting sights. 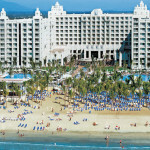 Hotel Riu Jalisco, Hotel Riu Palace Pacifico and the Hotel Riu Vallarta are all located on the Playa de los Flamingos beach. This is an ideal place for all those who want to relax in the sun and take a dip in the transparent waters of the bay, and we suggest you start your stay in Nuevo Vallarta in this way. 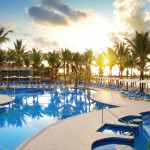 RIU Hotels complex is located in Playa del Carmen with 5 properties all with their own characteristics in theme from whimsical and fun to elegant and upscale. The area has a significant Mayan legacy, with important pyramids, cenotes, sinkholes and water bodies used by the ancient settlers of Yucatan. 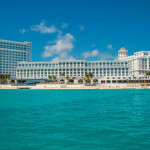 Enjoy the sun, fun, carefree holiday and relaxing setting of RIU’s fabulous Cancun Resorts. 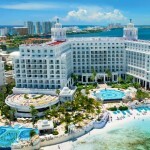 Choose from 4 exceptional all-inclusive Cancun resorts, each featuring an unmatched location right in the heart of Cancun’s hotel zone. All located on a beautiful beachfront property with unparalleled views of the Caribbean Sea, these resorts offer the perfect combination of beauty, convenience and luxury.